The Brooklyn Basin site is approximately 65 acres located along the Oakland Estuary and Embarcadero, just southeast of Jack London Square and within the City of Oakland’s San Antonio /Fruitvale /Lower Hills Planning Area. 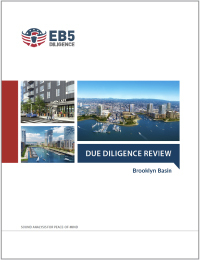 Brooklyn Basin is comprised of five development sites (Phase I, Phase IA, Phase II, Phase III and Phase IV). Upon completion of development of all five sites, it will include approximately 3,100 dwelling units (a mix of apartments, townhomes, and lofts). In addition, approximately 200,000 square feet of ground floor retail/ commercial space would be distributed throughout the sites and would be designed to provide a variety of active retail, restaurant, service, and small office uses to support the new residential neighborhood.